Lately, Six Sigma and Lean have become key buzzwords for progressive organizations that seek to improve their efficiency. 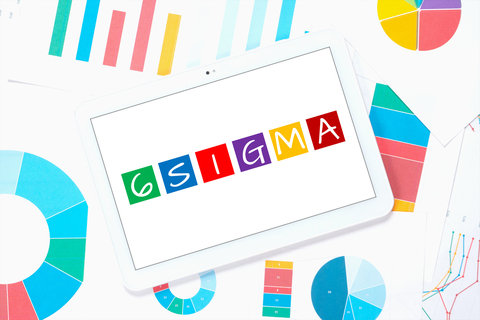 Six Sigma denotes a methodology used in business management that makes use of a scientific approach to measure quality while reducing defects and variations. On its part, Lean is a combination of philosophies, tools and methodologies that make up a management system to scientifically solve business problems. These two methodologies are often used hand in hand by many organizations within a variety of industries which combine mindsets and methods adopted from each approach. There also exist a number of frameworks for the two approaches. Most of these tools can be used to great effect by organizations of all kinds, even those that have not fully embraced the twin methodologies. This is an organizational paradigm for the workplace and has been developed to help companies improve safety, streamline workflow and reduce waste in their processes. This approach is an abbreviation for its five main principles: Sort, Straighten, Shine, Standardize and Sustain. Among the essential tenets behind lean thinking is that the root causes of any problems that arise need to be addressed, not worked around or covered up. These underlying causes of issues at the workplace can often be uncovered if the simple question, “Why?” is asked five times. Each answer is documented and the process repeated until the root cause of the problem has been identified and resolved. Named after the paper size commonly used at the offices of Toyota, A3 reports are single-page documents which summarize all that is needed to make decisions and report on a particular process. They condense a lot of information from multiple sources into a single, easily-digestible document that can then be acted upon. Typically, they include current process flows, goals, analysis and recommendations for implementation. Control charts make it easier for business leaders to visualize process output over a set period of time. Because control charts predate Six Sigma and Lean, they can be associated with either of the two methods. They are used to help management establish common cause variation (indicating that there is no change in the process) as well as special cause variation (a key indicator of shifts in a system or problems within a process). DMAIC is an abbreviation for Define, Measure, Analyze, Improve, and Control. Many people consider DMAIC to be the most important tool in the Six Sigma methodology. This is an improvement cycle that helps organizations to improve, optimize and stabilize their processes, and is regarded as the Six Sigma roadmap for resolution of business problems. The word Kanban literally means “shopkeeper’s sign” in Japanese. This visualization methodology helps to facilitate just-in-time manufacturing as well as a streamlined workflow in a range of industries. The key idea behind Kanban is the use of visual cues in order to guide delivery of inputs to processes when needed. It minimizes the required stock levels of raw materials, work in progress, components and finished goods. If predictable and consistent results are to be achieved by a business, it is vital that every process is carried out in the same way every time, no matter who is carrying out the tasks associated to the process. One way to achieve this is by developing, documenting and enforcing standard work. Standard work is a representation of the organization’s current best practices for performance of different parts of its processes. This is a lean tool which is designed to ensure that each part of a business process offers tangible value to the customer. In this case, value can be defined as something which a customer would be willing to pay for. When carrying out a value stream mapping, the current processes are examined and documented. Any step, task or expenditure on resources that does not produce value is eliminated or improved. Each of the Six Sigma and Lean tools outlined above can be used independently or in conjunction with another to help a business achieve quantifiable goals. Most businesses that adopt the use of these tools enjoy measurable results with regard to quality improvement, staff engagement, cost savings and customer satisfaction. The post 8 Six Sigma and Lean Tools to Improve Your Business appeared first on Shmula.